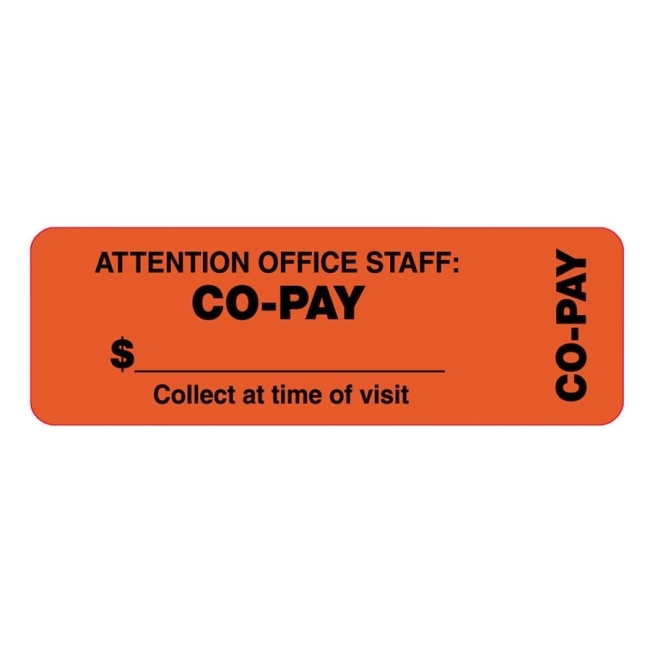 Attention-grabbing wraparound labels are designed for medical office use to convey vital information quickly and easily. 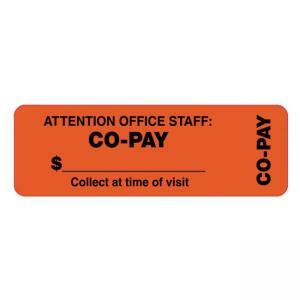 Bright red labels read: "Attention Office Staff: Co-Pay" with a blank space for writing a copayment amount. The label also alerts staff to "Collect at time of visit."